I feel like I'm dining in a sidewalk cafe in the South of France! OK well maybe not France, but I do feel like I'm human again now that we don't have to eat on T.V trays! 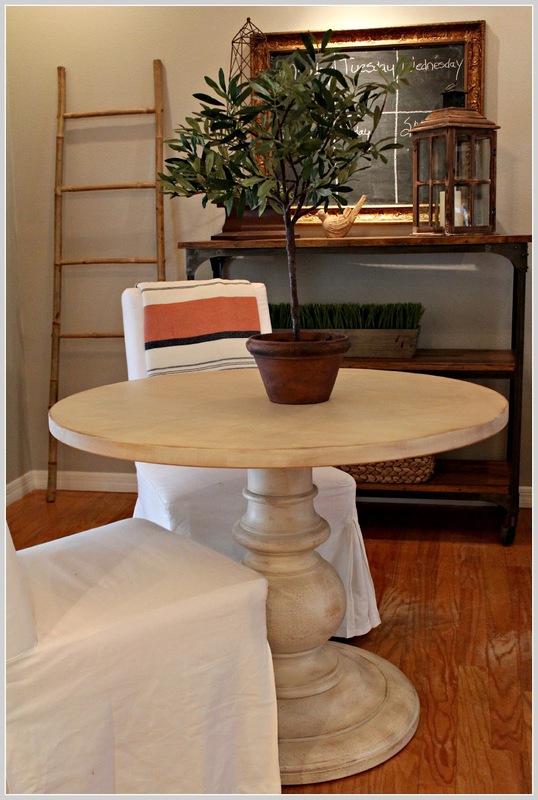 Introducing the Dawson Pedestal Table from Pottery Barn in the weathered white. It's the perfect size at 40 inches which is perfect for the two of us. Although I could sit four if I had to. I tried and tried to make this L-shaped living area one big cohesive space, but try as I might it just wasn't working! It was too big for one conversation area, and almost too small to make it into two! Frustrating! So one day I was thinking about it, which is weird because I never think about decorating! ;) And it came to me! What do most houses have as far as eating areas? 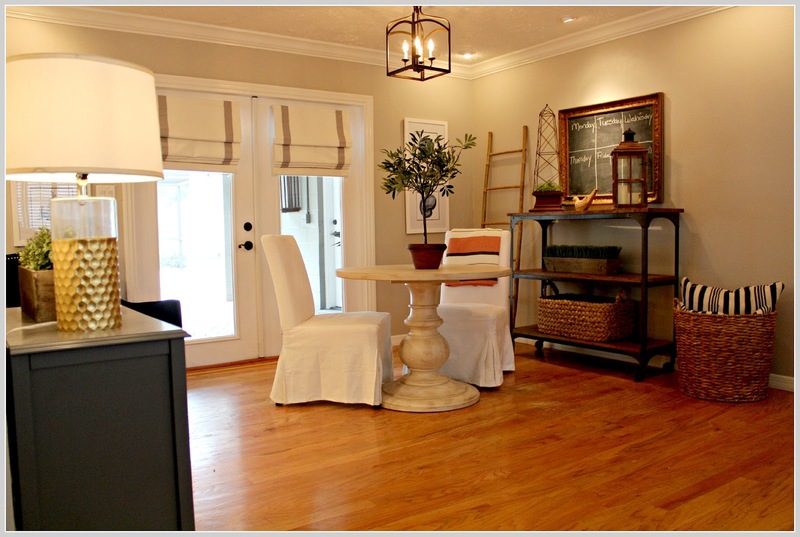 They have a formal dining room…and a breakfast nook! 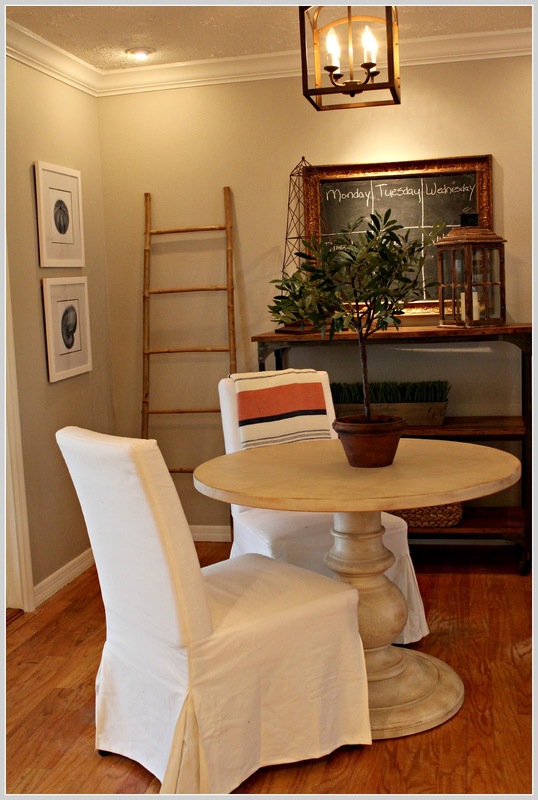 So that's what I did…a breakfast nook type area. 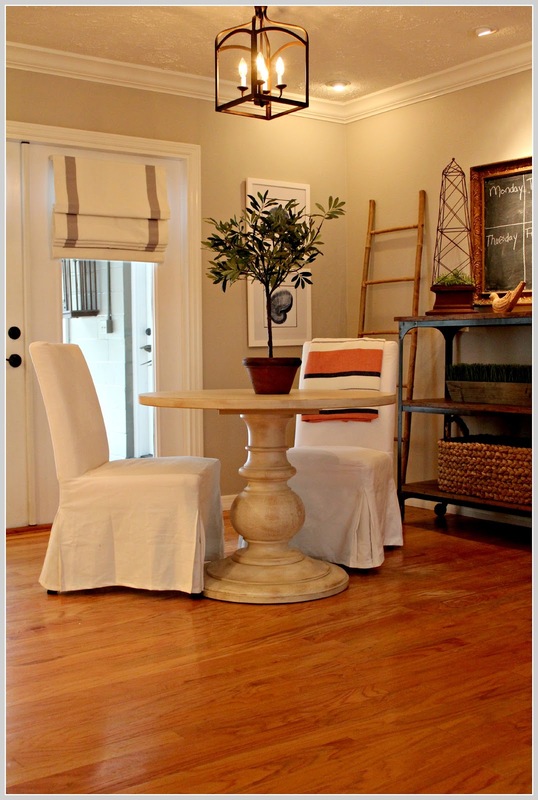 Then I'll have my formal dining area with space big enough for the whole fam damily and this little table that's big enough for Mike and I. And with the big dining table gone and the big monstrous sectional gone (more on that later) this space feels large and open! 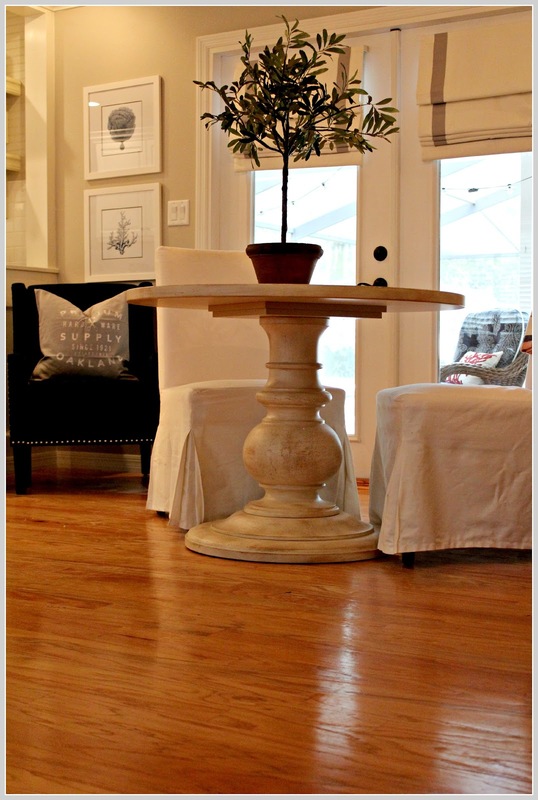 I love the weathered white finish and the large pedestal base. I might not keep these chairs with it though, that's up for debate. 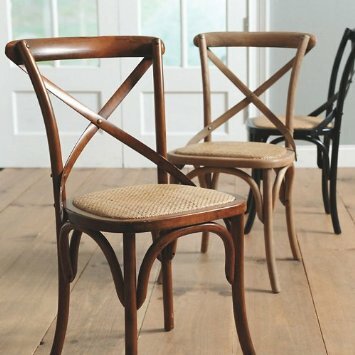 I would love to have some little bistro chairs such as these from Ballard Designs. I'm also trying to decide if I want a rug here or not. My Instagram peeps all say rug! But I have a rug in front of the sofa and I love how the open wood floor looks! We'll see! I also added the same chandelier from Overstock that's on the living room side, and raised it high so they were the same height. That way if we need to move the table for more floor space you're not knocking yourself unconscious! So here's to feeling human again!